Let me just say, right off the bat, that the 2016 Phoenix Comicon diverse guest list will show you that their entertainment inspired event will have something for nigh on everyone. From the who’s who of Doctor Who, to the most super spook of Supernatural, simply put, this is not an event that you can afford to miss out on. No sir-re-Bob! Hey! I tell you what! Please allow me to ask you a quick question: Do you like rivers? Or do you like songs? Better yet, how about both together: River Song? 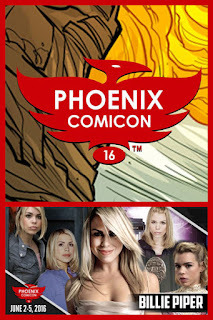 Because Alex Kingston from the non-Whoniverse will be joining Phoenix Comicon 2016! 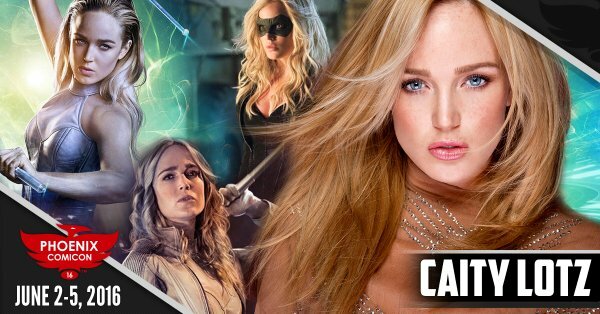 In addition to her large contribution to Doctor Who, Alex is well known for her roles on ER and the hit comic book themed TV show, Arrow! Oh! And while I'm on the subject of amazing actresses who starred in Doctor Who and Arrow, on the one hand we're happy to announce that the singer, dancer, who-sidekick, and all star beauty of stage and screen, Billie Piper, will be in attendance, whilst on the other, Caity Lotz, known as Sara Lance and White Canary from DC's Legends of Tomorrow, will also be showing up, too. The fun doesn’t stop there, though. 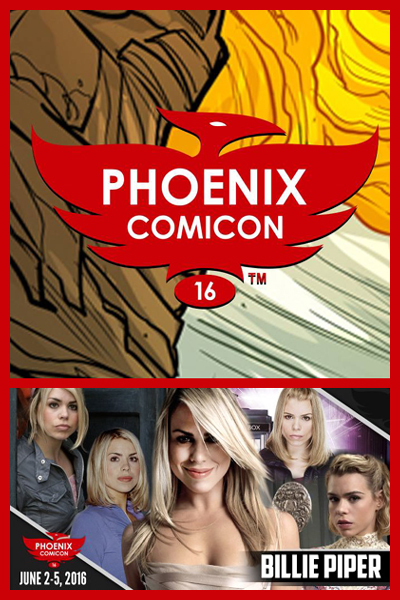 “We want to bring media guests who appeal to multiple fandoms, as well as popular comic book artists”, says Phoenix Comicon Marketing Director, Jillian Squires. This statement is heartily confirmed with the stellar guests that have already been announced. Illustrator and artist for Disney's Wonderground Gallery, Christopher Uminga. Actor Graham McTavish, also known as “Dwalin” from The Hobbit: The Battle of the Five Armies. Writer, editor, and comic book colorist, Renee Witterstaetter. Actress Eve Miles, known as “Gwen Cooper” from Torchwood. Jae Lee, award winning artist who has drawn such comics as The Dark Tower, Inhumans, Batman / Superman, and more. Chad Hardin, comic artist and current illustrator of DC's Harley Quinn. Actor Kane Hodder, AKA “Jason Voorhees”, as seen in multiple Friday the 13th films. Comic book legend, Marv Wolfman, known for his work on The New Teen Titans, Blade, and many-many more. Actor Timothy Omundson, from Supernatural, Galavant, and Psych. Award-winning horror illustrator, Basil Gogos. Comic book artist and “tyke” illustrator, Steven Pulawa. Plus, of course, many other guests primed and ready for comiccon action. 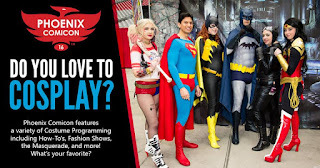 These festivities will be held at the Phoenix Convention Center, 100 North 3rd Street, Phoenix, Arizona, and will kick off on Thursday afternoon, June the 2nd, and continue throughout the weekend. 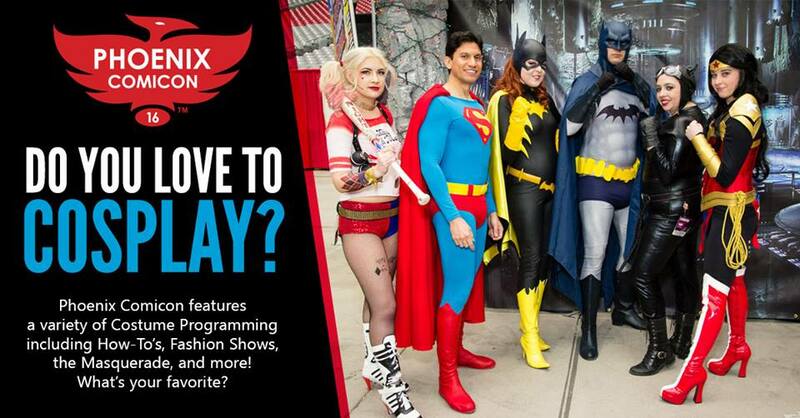 In addition to the guest talent that Phoenix Comicon will bring, you will find the best exhibitors, programming, contests, and FUN-FUN-FUN this side of the Rio Grande! Full event passes are now on sale for only $60, with Sidekick badges (kids 3 to 12 years of age) available for only $5 each! Click here to purchase them today.